Much has been written in recent years about Identities, understood as social, nested or constructing identities; or ‘Ethnic Identity’, presented as a strategy of distinction and/or identification, as a multidimensional or endogenous ethnicity, or also interpreted as a social construction, social network, negotiated or group identity; and concerning the ‘Archaeology of the Identity’, including the explicit relation between mortuary practices and Social Identities in a ‘multi-ethnic’ perspective or as a ‘constructed strategy of shifting identities’. This book is not ‘another brick in the wall’, but a contribution to ‘break the wall’ between different disciplines in an interdisciplinary and multidisciplinary framework. 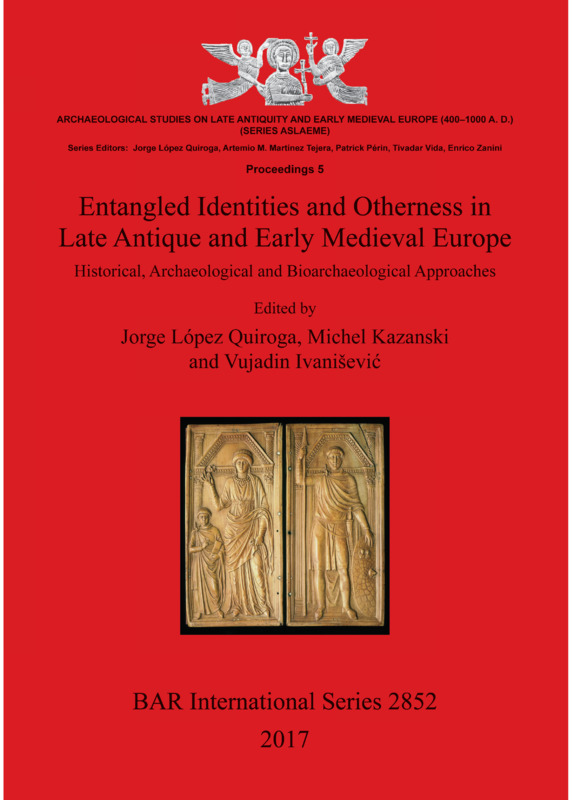 We present in this volume fifteen papers focused on theoretical and interpretative proposals from the textual, archaeological and bioarchaeological record, as well as a series of ‘case studies’ on certain European areas essentially throughout the analysis of the funeral world in the Late Antiquity and the Early Middle Ages. Jorge López Quiroga is a Senior Scientist in the Autonomous University of Madrid. He is author/editor of more than a dozen books and more than 100 articles in scientific journals and papers in International Congresses focused on Late Antiquity and the Early Middle Ages in the Iberian Peninsula and in the Mediterranean. Michel Kazanski is Director of Research in the CNRS (UMR 8167, ‘Orient et Méditerranée‘, Collège de France). He is author/editor of more than a dozen of books and more than 100 articles in scientific journals and papers in International Congresses focused on the Archaeology of the barbarian peoples during the Great Migrations and the Protobyzantine material civilization (4th-7th centuries). Vujadin Ivanišević is Director of Research at the Archaeological Institute of Belgrade. He is author/editor of several monographs and more than 100 articles in scientific journals focused on Byzantine Archaeology and barbarian peoples at the time of the Great Migrations, Monetary history of the Balkans in the Middle Ages, Byzantine Sigillography and Landscape Archaeology. Contributors: Sebastian Brather (University of Freiburg), Florin Curta (University of Florida), Bruno Dumézil (University of Paris X), Dawn Hadley (University of Sheffield), Guy Halsall (University of York), Vujadin Ivanišević (Institute of Archaeology, Belgrade), Michel Kazanski (CNRS-Collège de France), Jörg Kleemann, Michael Kulikowski (University of Pennsylvania), Jorge López Quiroga (Autonomous University of Madrid), Anna Mastykova (Academy of Science, Moscow), Patrick Périn (Archaeological National Museum, Paris), Annamaria Pazienza (University of Venice), Luis Ríos Frutos (Autonomous University of Madrid), Michel Rouche (University of Paris-Sorbonne), Tivadar Vida (University of Budapest).